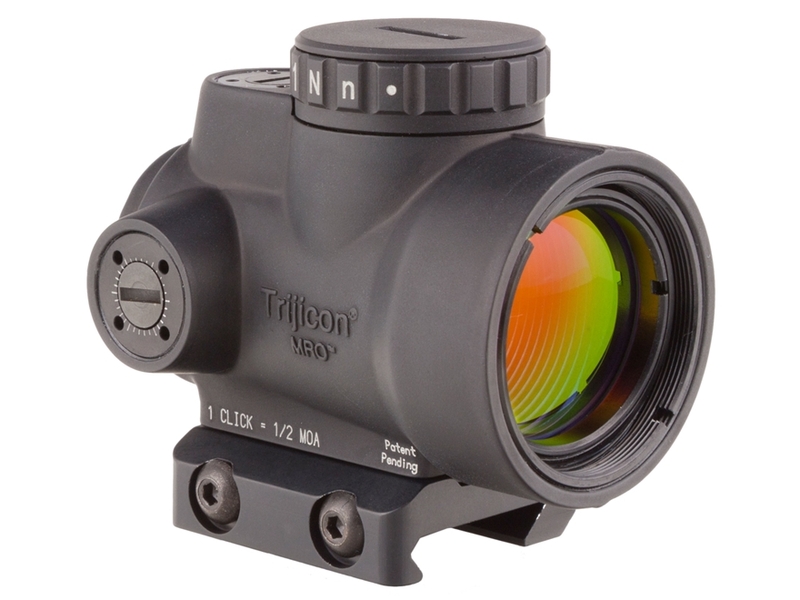 The Trijicon Miniature Rifle Optic (MRO™) is a reflex-style, sealed sight intended for use on rifles, carbines, and shotguns to provide fast target acquisition. It is designed to be used with both eyes open, providing the operator with maximum situational awareness. The large aperture and tapered light path maximizes the viewing area in such a small optic, allowing for fast target engagement – especially from non-standard shooting positions. Advanced lens coatings and electronics produce a crisp red dot. The brightness control dial on the MRO is specifically designed for ambidextrous usage. With a mid-adjustment “off” position and eight discernible brightness settings, this brightness dial allows for quick and ergonomic adjustments. The MRO features fully protected adjusters that maintain zero even during rough handling, and can be adjusted without the need for special tools.